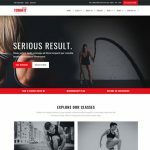 Create a website by quantum investment company responsive website templates. It’s fresh and stunning design to create your finance and investment company website design with responsive layout. As an investment company you have to get more people to know about it. 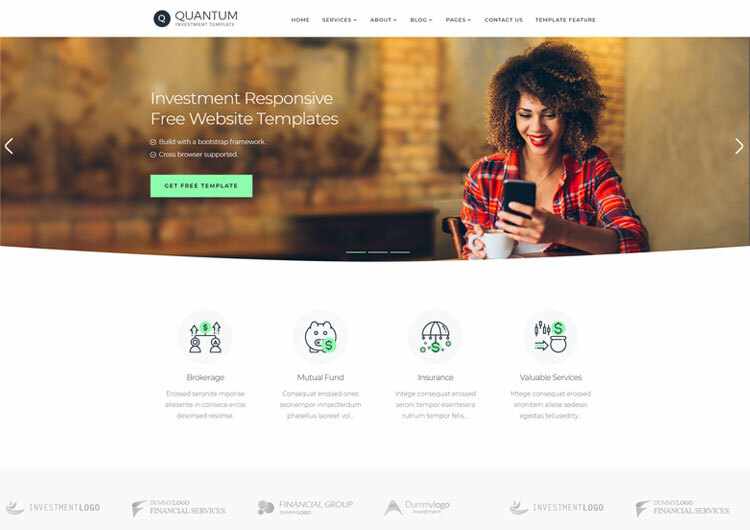 Quantum – the investment company website template is the best solution to make your online business website. It can perfectly usefully for brokers, wealth management, financial services companies, asset management, mutual funds, bank, insurance, loan business, consultant, also site for small business owner. Quantum a financial services website templates is the fully customized template. You will be able to customize as per your need of your business or website. All necessary pages like home page, service, service single, blog and blog detail, and most important online invest page which is very useful for investment company. 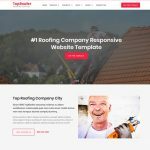 Also, it is 100% bootstrap responsive template. It is fits according to the screen resolution and cross browser supportive as well. It is accessible in all screens sized like the Smartphone, iPhone, iPad android and pixel phone, tablet, laptop and large screen. 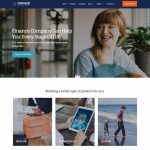 Free financial website templates, you get maximum pages to complete your investment company website and it is fully customized. Images are used in template only just for demo purpose. Not included in main zip download file.